In this edition; a new Greek eatery quietly opens in SoMa, a Taiwanese tea chain arrives in the Inner Sunset, a new sushi restaurant is giving it a go where two other Japanese eateries have shuttered, and a major bakery is down to one San Francisco location. 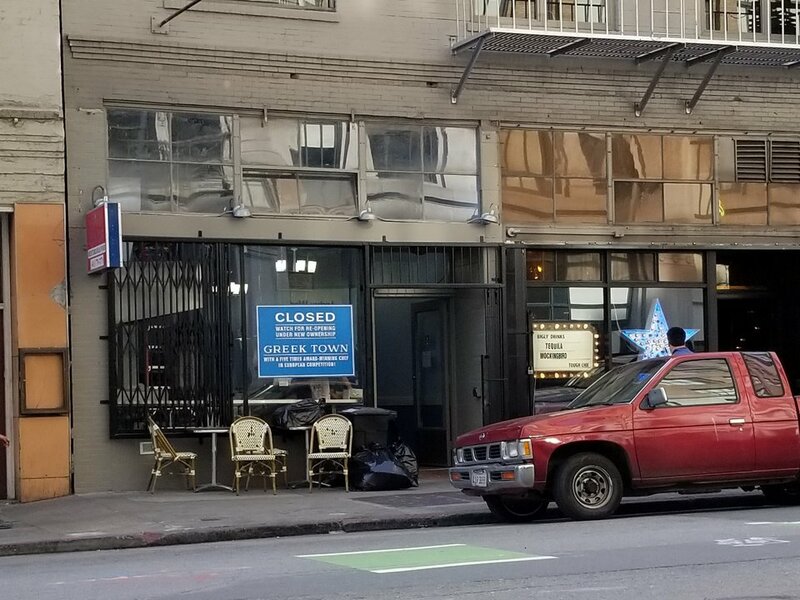 As we reported last month, the Gyro King space South of Market was undergoing renovations with plans to reopen as a new eatery called Greek Town. While our distinguished tipster Al M. originally told us that interior construction was still in its early stages, things moved along quickly and the new place has softly opened. 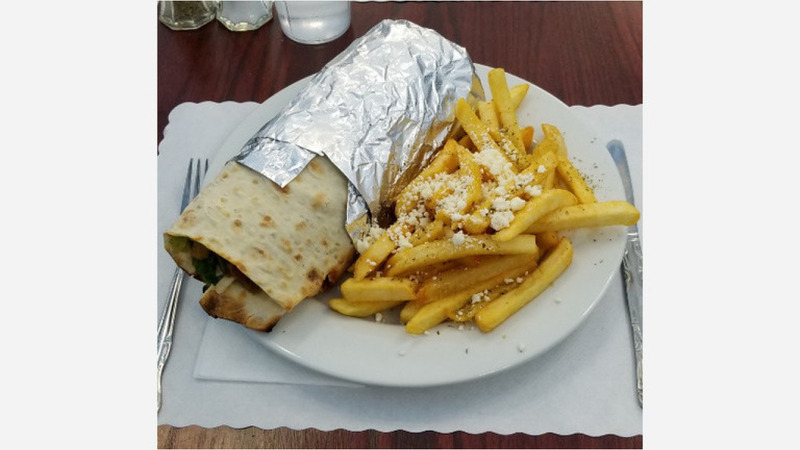 The new owner reportedly said he'd purchased the former gyro restaurant, so customers can expect to see "prices much lower than the competition." On the menu, look for "wraps and platters filled with generous portions of meat," said Al, along with house-made baklava. 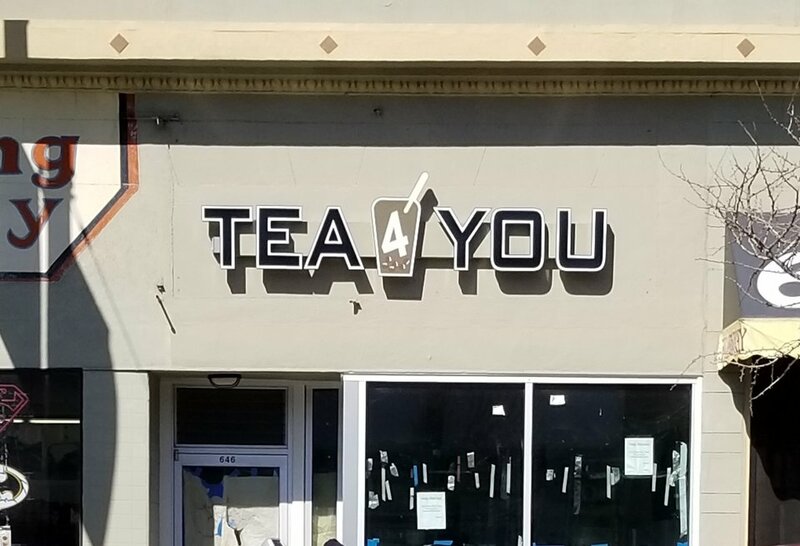 More than two years after it started preparing the space, Al reports that a new boba and milk tea spot called Tea 4 You has opened on Irving Street in the Inner Sunset. The Taiwan-based restaurant was founded in 2004 and has since expanded to include nearly two dozen locations in California, according to the business' website. The cafe previously had another outpost in the Western Addition at 1522 Fillmore St., but it closed earlier last year. Expect to see an array of customizable tea drink options like jasmine pearl milk tea and green tea with mango ice cream and winter melon. You can also choose the amount of ice you'd like in your drink as well as the level of sweetness. If you're in the mood for a quick bite to eat, there's a selection of snacks like basil popcorn chicken, lobster balls and fried cheese sticks. 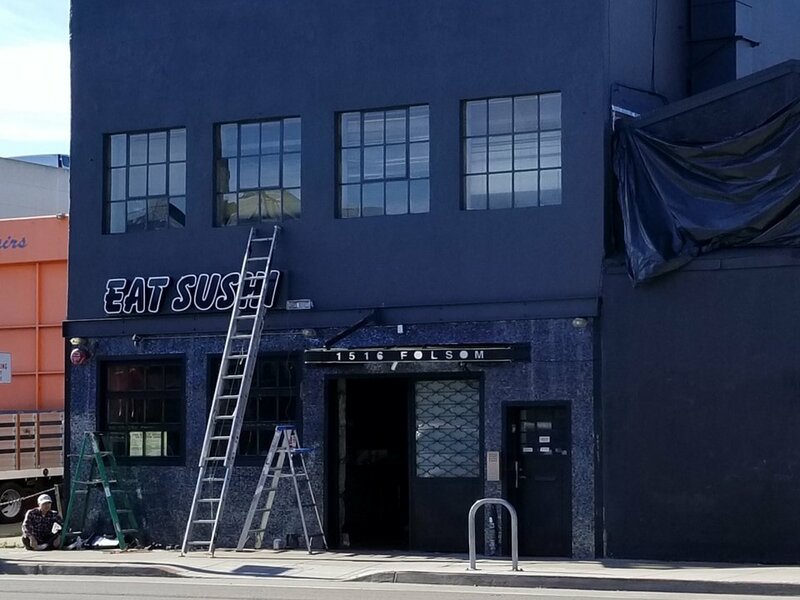 Also in SoMa, man about town Al M. reports that EAT SUSHI will take over the former OEC Japanese restaurant, which closed late last year after just over a year in business. The building has seen several Japanese restaurants come and go over the years, including Izakaya House, which shuttered in early 2016. Al said he spoke to a worker at the scene who said a department of Alcoholic Beverage Control license has been transferred to the new owners, but a public records search revealed no applications or licenses on file. There's no word as to when the new restaurant will open and no "sneak peeks of the menu," he said. 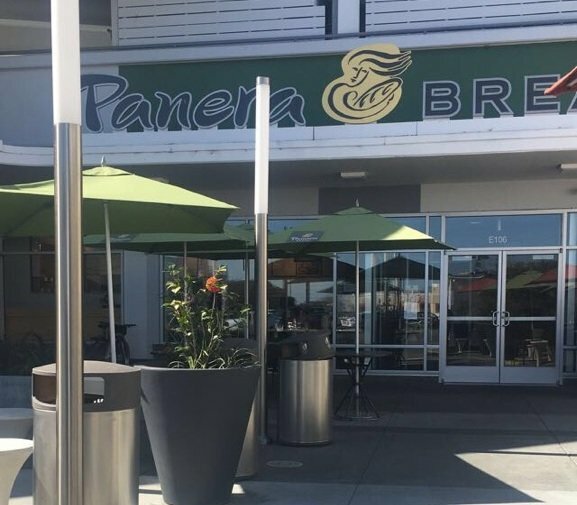 Lastly, Hoodline tipster Philip T. reports that Panera Bread in Anza Vista has shuttered. 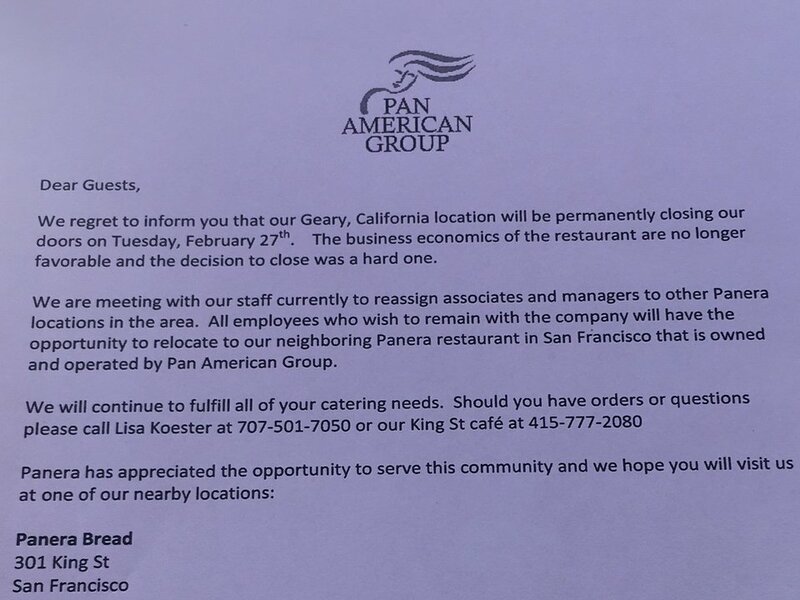 A letter sent to customers and employees by the Pan American Group, which operates more than 130 bakery locations in eight states, indicated the business was no longer "economically favorable." Current employees who wish to stay with the company will have an opportunity to relocate to the bakery's sole remaining San Francisco outpost at 301 King St. in Mission Bay, or its San Rafael locale at 5000 Northgate Dr.
High fives to tipsters Al M. and Philip T.! If we missed an opening or closing in your neighborhood, email tips@hoodline.com or send a text to 415-200-3233, and we'll give you credit for the tip.